At Anacapa Heating & Air, our goal is to provide the best value in heating and air conditioning services in Ojai and the surrounding Ventura County area. Our speciality is delivering high-quality furnace and air conditioner sales, installation, repair, and maintenance services at cost-effective prices to residential and commercial customers. 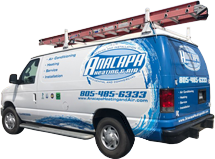 Unlike large heating and air conditioning companies with huge marketing budgets, Anacapa Heating & Air is a family owned HVAC contractor based in nearby Oxnard that depends more on building a loyal base of customers rather than constantly finding new ones. As a result, we focus our efforts on achieving complete customer satisfaction through honest, expert advice, exceptional service, reliable workmanship, and affordable prices. Because we keep our overhead costs low, we're able to keep the pricing for our heating and air conditioning services fair and competitive. Call Anacapa Heating & Air today to join more than 20,000 satisfied customers throughout Ventura County! We're available Monday through Friday, from 8am to 5pm, and on-call 7 days a week to respond to emergency furnace and air conditioner repair requests in Ojai. When you call to schedule an appointment, you'll speak to a friendly, knowledgeable member of our staff, who will book your service visit at a time that works for you. We offer two-hour appointment windows and notify you in advance if it looks like our technician is running late. Anacapa Heating & Air is a fully licensed and insured heating and air conditioning company as well as a Carrier Factory Authorized Dealer. All of our service technicians are trained and certified by North American Technician Excellence (NATE), considered the gold standard for HVAC technician development. 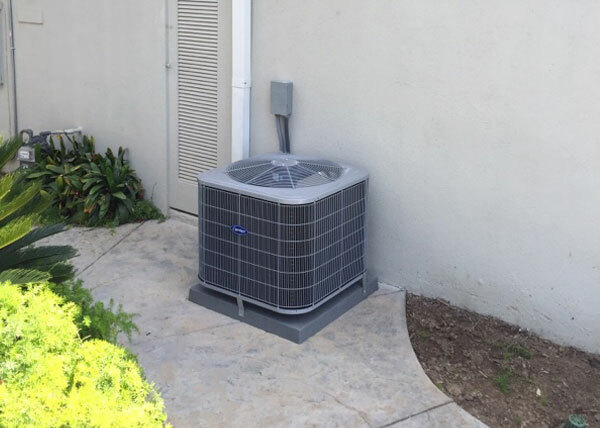 They are qualified to repair and maintain most HVAC makes and models, and factory authorized to sell and install Carrier air conditioners, furnaces, heat pumps, mini-splits, and thermostats. Because all of our service technicians and installers are proven HVAC experts with years of experience, you can trust them to get the job done right the first time, every time. Furnace & Air Conditioner Repair Services in Ojai, CA -- Schedule Your $69 Diagnostic Visit Today! Thousands of customers throughout Ventura County choose to call Anacapa Heating & Air for all of their heating and air conditioning needs because of our skilled workmanship, fast response times, affordable prices, and lasting results. We repair all major makes and models of heating and air conditioning equipment, including those made by Carrier, Trane, Lennox, Goodman, Amana, Rheem, Maytag, York, Day & Night, Bryant, Mitsubishi Electric, Fujitsu, and American Standard. Whether you have a furnace that won't ignite, an air conditioner that's blowing warm air, or a mini-split system that is displaying error codes, we are confident that we will determine the cause of the underlying issue and provide the most cost-effective solution. Our heating and air conditioning diagnostic visits are just $69 and include having a complete inspection of your system by one of our experienced, NATE certified service technicians. Once the tech determines what repairs are needed, you will be provided with an upfront written estimate. We use flat-book pricing for all of our furnace and air conditioner repairs and do not give our techs any sales incentives, which helps to ensure that our technicians don't try to sell you on any unnecessary services or equipment. All recommendations are personalized to each customer's needs and budget, with the aim of giving them the best value in heating and air conditioning possible. Call today to book your furnace or air conditioner repair in or near Ojai. Because of Ojai's Mediterranean climate, the summers are generally hot and dry, and the winters are fairly mild. This means that your air conditioning system gets heavier than normal use compared to homeowners in cooler climates or near the coast. That makes it all the more important to stay on top of preventative maintenance in order to keep your air conditioner working reliably and efficiently. Call us today to schedule an air conditioner maintenance visit at your Ojai home. While regular maintenance visits are encouraged for air conditioners because they are used so heavily, we recommend annual heating inspections and tune-up because they are used so infrequently throughout the year. This might seem counterintuitive, but leaving your furnace's components sitting motionless for months at a time isn't ideal for optimal performance either. When left unused for long periods of time, your furnace still collects dust, could rust, or could have a connection become loose or damaged. 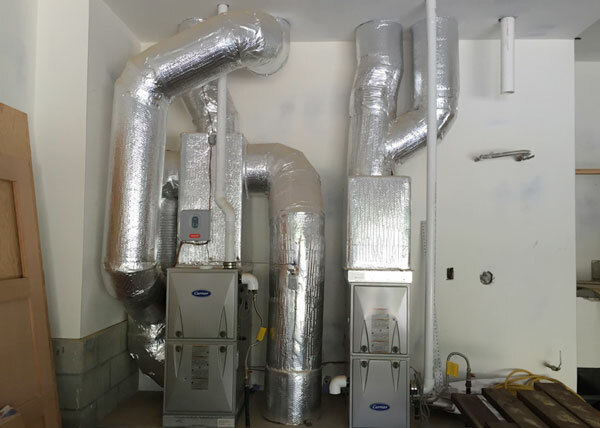 The only way to be certain that your furnace is ready to run safely, reliably and efficiently during Ojai's winter season is to have a professional HVAC technician come out and perform a thorough inspection and tune-up. Give us a call today if you'd like to book a furnace maintenance visit with one of our experts. If you are interested in staying on top of your heating and air conditioning system's preventative maintenance needs, consider joining our Preventative Maintenance Club. This Club includes two to four tune-up visits a year (personalized to your needs), 10% off parts and materials for repairs, and priority scheduling. Call to learn more! Anacapa Heating & Air is Ojai's best choice for heating and air conditioning installation and replacement. We are a Carrier Factory Authorized Dealer with 20+ years of experience and more than 20,000 satisfied clients. We're extremely proud to be a Carrier Factory Authorized Dealer because it is one of the most prestigious titles in the industry. In order to earn Carrier's factory endorsement, we needed to prove that we are committed to offering our customers the best value in air conditioning & heating systems and solutions. This meant demonstrating that we have an impressive track record of customer satisfaction, a team of high qualified installers and service technicians, and solid business practices. Additionally, Carrier requires that our techs participate in ongoing training from both Carrier and North American Technician Excellence (NATE). By maintaining such high standards, Carrier is able to back every furnace and air conditioner installed by a Carrier Factory Authorized Dealer with a 100% customer satisfaction guarantee for one year after the date of installation. There are few manufacturers that can stand behind their equipment and installations with this level of confidence. As a result, our Ojai customers can be confident that they will get an expertly designed system that is customized for their specific indoor comfort needs. With Carrier's three product lines, a variety of rebates and incentives, and financing with approved credit available through Wells Fargo, we're also able to meet a wide range of budgets. If you are considering a new or replacement furnace or air conditioner for your Ojai home or business, call Anacapa Heating & Air today. We offer free on-site consultations and estimates for all new heating and air conditioning installations. Anacapa is a wonderful company. They know what they're doing, their prices are reasonable, and they stand behind their work. I have had multiple occasions to work with them, including when there were problems, and matters were always set straight in a professional and timely manner. Highly recommend for all your HVAC needs (and no, I"m not their mother).